View The Obituary For Dena Cox. Please join us in Loving, Sharing and Memorializing Dena Cox on this permanent online memorial presented by Greek Obituary. View The Obituary For D. R. “Tom” Uher. Please join us in Loving, Sharing and Memorializing D. R. “Tom” Uher on this permanent online memorial presented by Taylor Bros. Funeral Home. View The Obituary For Juanita Francis Benbenek. Please join us in Loving, Sharing and Memorializing Juanita Francis Benbenek on this permanent online memorial presented by BELL-CYPERT-SEALE FUNERAL HOME. View The Obituary For Mary Edith McKelvy. Please join us in Loving, Sharing and Memorializing Mary Edith McKelvy on this permanent online memorial presented by Taylor Bros. Funeral Home. View The Obituary For Lyn Wallace. Please join us in Loving, Sharing and Memorializing Lyn Wallace on this permanent online memorial presented by Green Funeral Home. 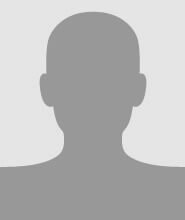 View The Obituary For James Edward Fountain. Please join us in Loving, Sharing and Memorializing James Edward Fountain on this permanent online memorial presented by Adams E.E. Stringer Funeral Home. View The Obituary For Barbara Ann Bailey. Please join us in Loving, Sharing and Memorializing Barbara Ann Bailey on this permanent online memorial presented by Carroway Funeral Home. 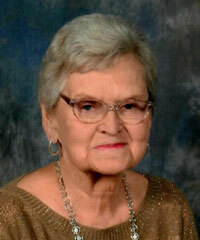 View The Obituary For Bina Louise Melancon. Please join us in Loving, Sharing and Memorializing Bina Louise Melancon on this permanent online memorial presented by Carroway Funeral Home. View The Obituary For Eddie Dean Mills. Please join us in Loving, Sharing and Memorializing Eddie Dean Mills on this permanent online memorial presented by Fry-Gibbs Funeral Home. View The Obituary For Jimmie Shelton, Sr.. Please join us in Loving, Sharing and Memorializing Jimmie Shelton, Sr. on this permanent online memorial presented by Fry-Gibbs Funeral Home. View The Obituary For Chad David Kane. Please join us in Loving, Sharing and Memorializing Chad David Kane on this permanent online memorial presented by ADAMS FUNERAL HOME. Lois Earlene McDonald Lois Earlene McDonald, 78, of Amarillo passed from this life on Thursday, March 7, 2019. Lois was born on February 15, 1941 in Muskogee, Oklahoma to Earl and Beulah Miller. She grew up in Vega and Canyon. 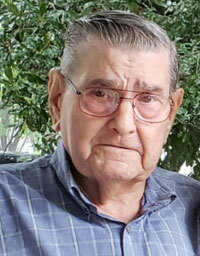 Cliff Manley Bonham, Texas — Funeral services for Clifton (Cliff) Manley, 77, of Bonham, Texas will be held at 11:00 a.m. on Sunday, March 10, 2019 at Congregational Methodist Church in Bonham, Texas, under the direction of Wise Funeral Home.